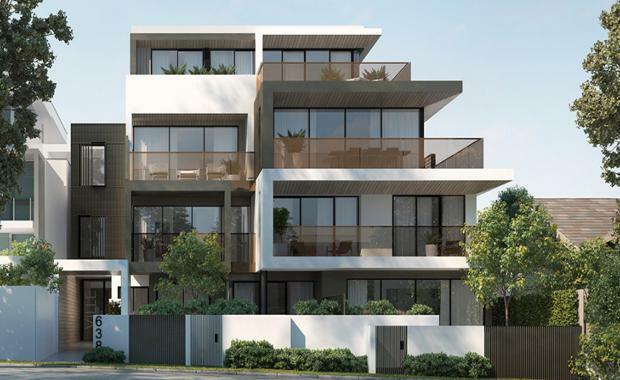 Ville, a new residential development in Prahran’s Hawksburn Village, has released three new 170 square metre ‘prestige residences’ in response to the success of the project's existing luxury apartments. Designed to appeal to a demand from local owner-occupiers for larger and more expansive floor plans, Ville's three new residences join the development's existing 13 luxury residences and 300 square metre entire-floor penthouse. Located at 638 Malvern Road, Hawksburn Village, Ville is less than six kilometres from the CBD, within close proximity to Orrong Chapel Street shopping and dining precinct, and just meters from the 72 tram line. The project's design is a collaboration between CHT Architects and Magnate Developments with interior finishes from Mim Design. Market responsibility has been given to Beller Project Marketing. Beller Project Marketing Associate Director Heath Thompson said it is the well-considered design of the property that makes Ville so alluring to buyers. “Ville is a testimony to the notion that appropriate development in this rapidly evolving property market is still in huge demand,” Mr Thompson said. “Buyers want options and this project shows true responsiveness and understanding of the variety of apartments they’re seeking to purchase. “In fact, we’d originally planned a 22 apartment development, but we re-released Ville with 17 apartments because there was a demand from purchasers to combine the residences. The building is a series of symmetrical, rectangular sculpted volumes, an architecture that is sympathetic to the combination of Heritage-listed and contemporary buildings surrounding the site and retains the integrity of the historic Hawksburn Village neighbourhood. “The Prestige Collection effectively provides an elevated townhouse at exceptional value,” Mr Thompson said.